The Godalming sessions are the successors to those that took place in the Ram cider house at Catteshall from the 1970s until the pub closed in the year 2000. Since then, they have taken place in various pubs in the town and the Monday session has long been settled at the Star in Church Street. The Star, Church Street, Godalming every Monday evening from 9.00pm. The Leathern Bottle, Meadrow, Godalming every second and fourth Thursday from 8.30pm. The Star, Witley every second Sunday from 8.30pm. 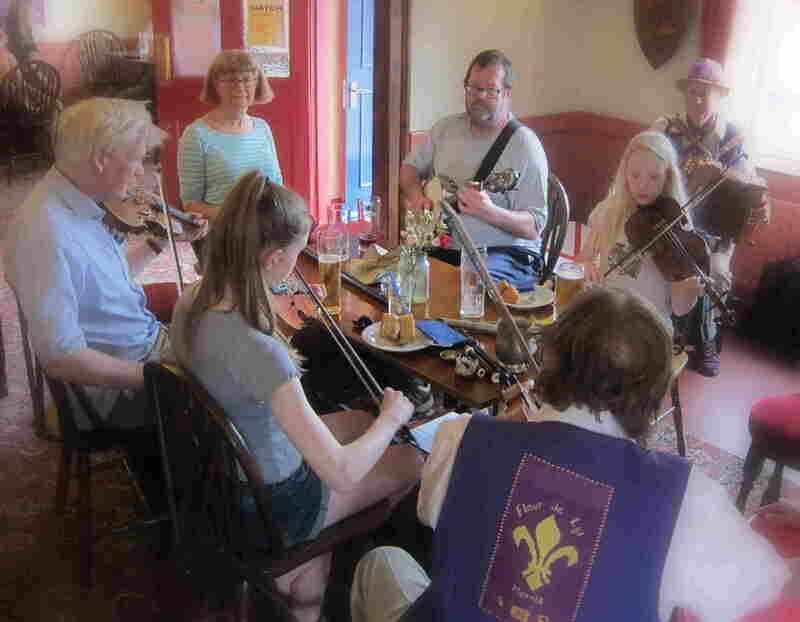 The sessions are mainly traditional English, Scottish and Irish but we do have some other types of music. All players, singers and audience are welcome. Contact Kevin Gorton on 01483 415962 or by email. The Godalming Guisers take their mummers' play around the pubs of Godalming every Christmas.